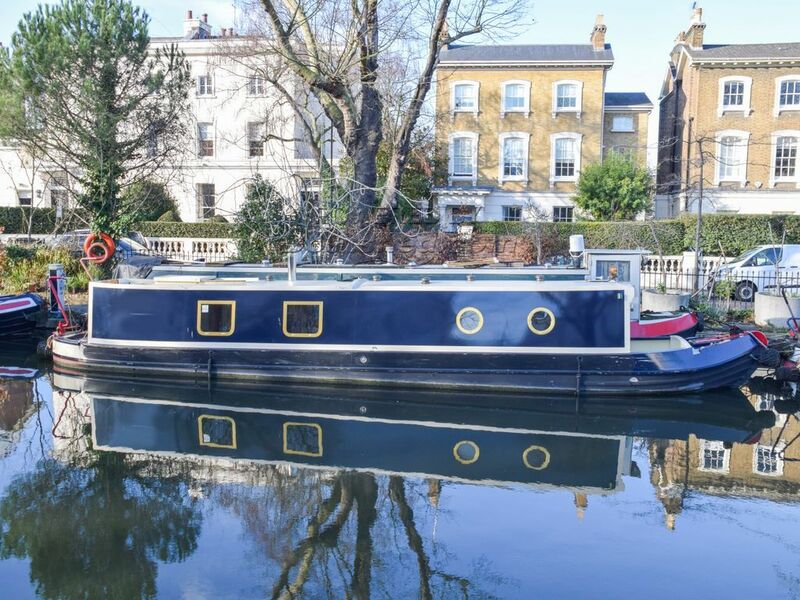 Boatshed London are delighted to offer this immaculate 40ft Narrowboat for sale with London mooring in Little Venice. Built in 2017 by Tyler Wilson and very lightly used as an office ever since, this beautiful narrowboat is on one of London's most desirable mooring sites at Blomfield Road. The fit out is of an extremely high standard throughout and this would make an ideal liveaboard for an individual or couple. The cabin at the bow will require a bed to be fitted but the boat was designed with this in mind so a 6ft+ bed will fit in. The walkthrough bathroom has an electric heads and good sized shower compartment and at the stern is the galley and saloon seating area. The boat has multifuel stove and central heating as well as immersion heater and top-spec Vetus inverter/charger. The cooker is also electric so there is no gas to worry about onboard. Current mooring fees are approx £7,000 per annum and there is no transfer fee payable. The mooring is fully transferable to the new owner. Blomfield Road is moments from Little Venice and has excellent transport links with Warwick Avenue (5 mins) and Paddington (15 mins) both within walking distance. This Narrowboat 40ft With London Mooring has been personally photographed and viewed by Angus Rose of Boatshed London. Click here for contact details.